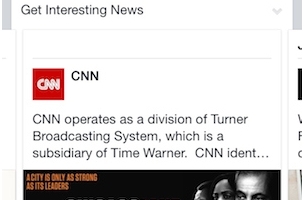 Digiday shared the screenshot above, mentioning that CNN, the subject of the post it shared, added 1.2 million likes between March 10 and April 10, compared with just 76,000 during the same time period in 2013. Digiday also speculated that the social network is providing the free posts for publishers in an attempt to bolster its presence as a news destination. A small but growing number of adults use Facebook to get their news. Facebook’s new algorithm is favoring the most newsworthy, sharable content in the feed, so actively promoting media and publishers at no cost makes sense. 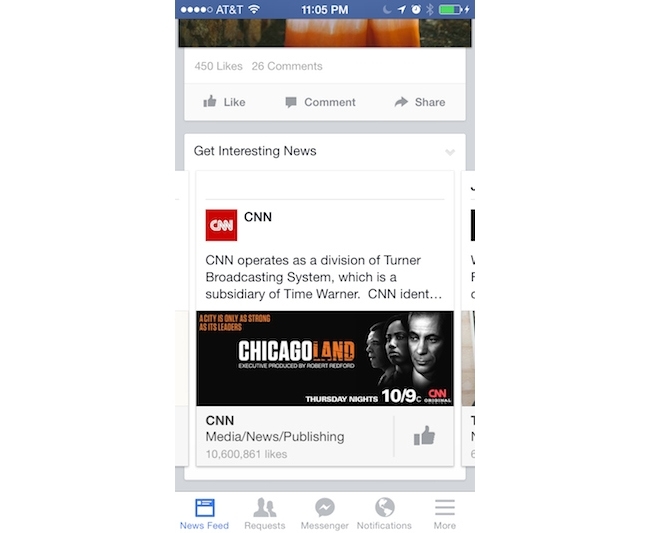 I wouldn’t be surprised if we begin to see innovations that allow brands to cross-promote with publishers in the Facebook feed. Readers: Have you seen any of these “Get Interesting News” posts in your News Feeds?